Nvidia is reportedly prepping for the launch of its mobile and low-power Max-Q GPUs at CES 2019. According to a leaked embargo date of January 26th, an entire lineup of chips will be available from late January onward, potentially even encompassing the yet to arrive entry-level and mainstream Nvidia Turing graphics cards. Nvidia is rumoured to be prepping not only an RTX 2070 but the RTX (name pending) 2060, RTX 2050 Ti, and RTX 2050, despite these GPUs’ desktop counterparts still locked away behind closed doors. Nevertheless, we’ve heard via the grapevine that at least some Max-Q GPUs will likely make an appearance at the Las Vegas show, but whether or not that will include GPUs yet to be released in discrete form we can’t say for sure. 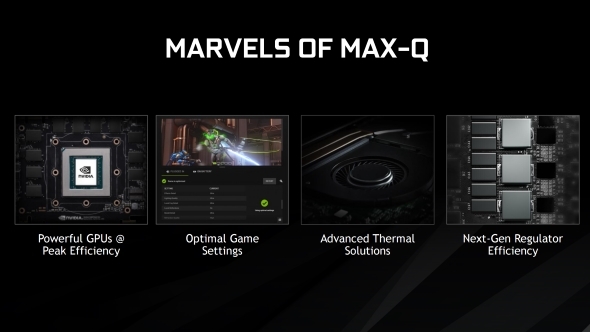 Nvidia’s current Max-Q lineup includes mobile counterparts to much of the Pascal lineup, albeit with the exception of the high-performance Ti graphics cards. Running with variable clockspeeds and lower TDPs, these GPUs are intended to allow for slim, lightweight gaming laptops that still maintain a decent percentage of their desktop counterpart’s performance. The mobile launch rumour has seemingly manifested from nowhere in particular, according to the source, WCCFTech. However, we’ve some reason to believe it could at least be partially true. The RTX 2080 Max-Q is supposedly also in the works, the report continues, but has not yet been tipped for an appearance at the show. Nvidia is reportedly holding off on shipping more mainstream GPUs until it has worked through all the excess stock still sat in the channel. Leftovers from earlier in the year when cryptocurrency was still king. 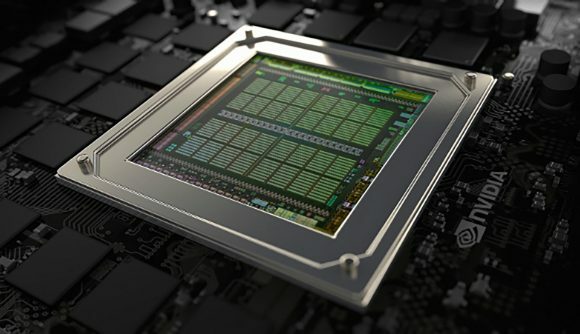 That’s left the next generation Turing GPUs in a state of flux – assumedly Nvidia won’t be shipping brand new cards – such as the RTX 2060 – until the old Pascal stock has dissipated. But seeing as few, if any, miners utilised gaming laptops as an Ether pickaxe, that oversupply is unlikely to have had a huge impact on the mobile market. Hence why it wouldn’t be totally improbable for Nvidia to launch mainstream mobile GPUs before the desktop discrete market if that oversupply were truly the delaying factor for any upcoming launch. If that’s the case, we’ll at least have some ballpark idea of the performance we can expect from desktop mainstream and entry-level cards. Our best guess, as of the moment, is that Nvidia’s next batch of desktop Turing cards will launch sometime towards the end of Q2, right as AMD’s Navi architecture should round the corner. But then again, apparently Navi might arrive sooner than expected too… I have my doubts.